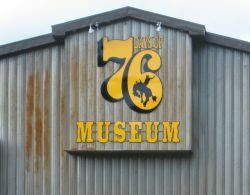 Architectural signs include many styles, such as pylon signs, monument signs, post and panel signs, building signs and more. 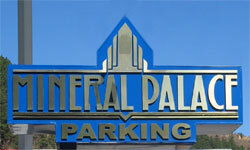 We build a variety of structures that each have their own unique qualities, giving you a sign that sets you apart from the ordinary. 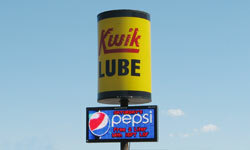 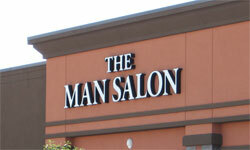 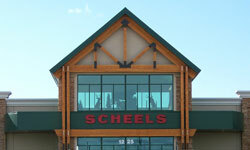 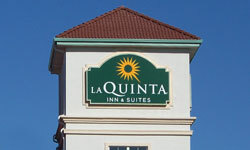 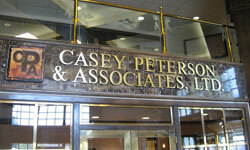 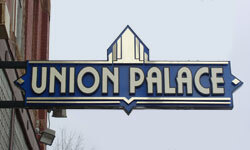 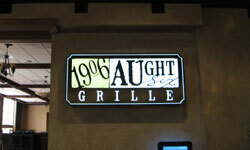 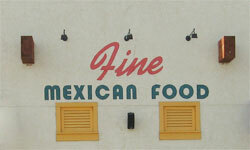 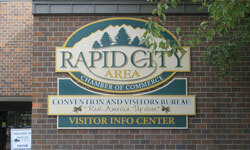 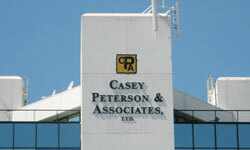 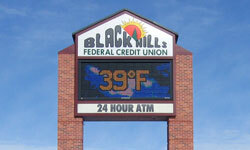 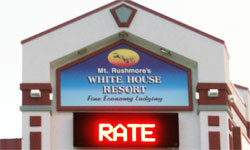 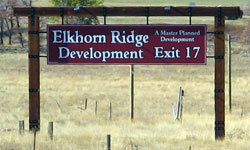 Architectural sign structures are available in illuminated or non-illuminated to meet your specific needs. 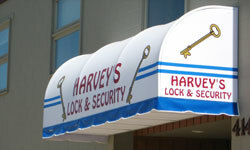 Awnings add elegance and can complement the exterior architecture of a building while drawing the attention of potential customers. 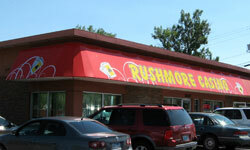 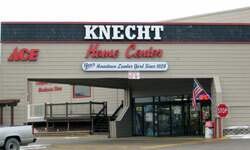 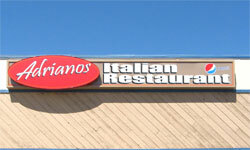 Our awnings are custom built to your specifications by our experienced staff of fabricators. 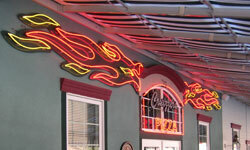 Attached are awning styles. 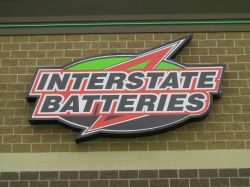 We offer a wide variety of sign shapes, sizes, font styles, and art icons for our completely customized three-dimensional signs and plaques. 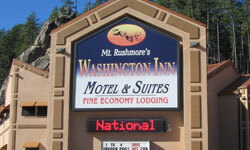 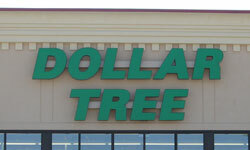 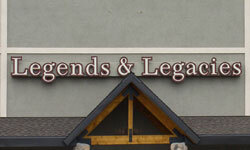 These signs are weather and moisture resistant, and will outlast a wood sign by a factor of two or three years, requiring very little maintenance. 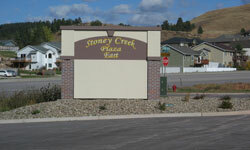 Letters and art can be raised and/or engraved, with smooth backgrounds, sandstone texture, or simulated wood grain. 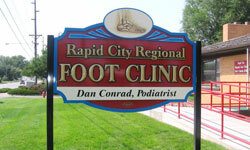 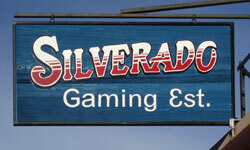 Every routed or sandblasted sign is truly unique. 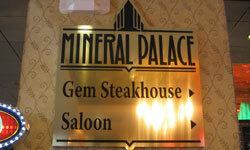 From computerized cuts to "old fashioned hand painting and gilding" the finished product is always an eye catcher. 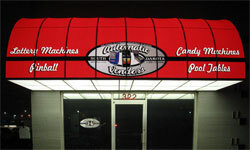 Custom neon and LED Channel letters are made to order and provide your business with a professional look that will last for years with very little maintenance. 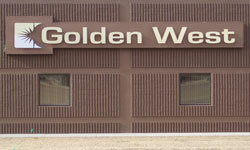 Non-illuminated building letters include Gemini letters of cast metal or plastic or letters routed from wood or sign-grade foam. 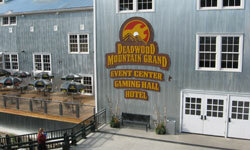 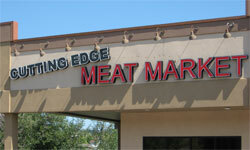 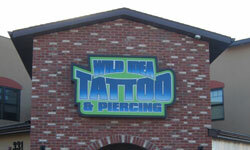 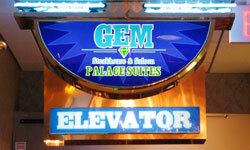 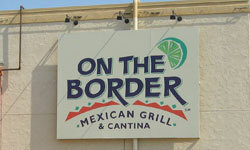 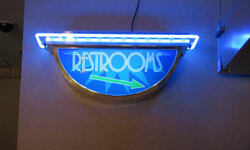 We custom design and fabricate both indoor and outdoor neon signage. 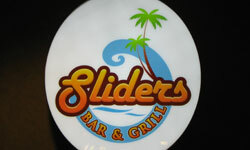 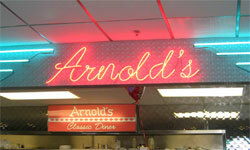 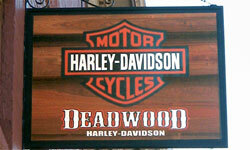 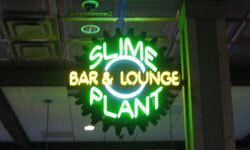 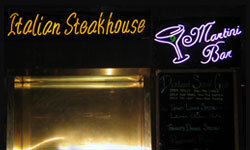 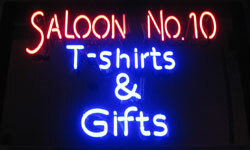 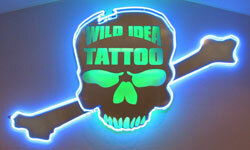 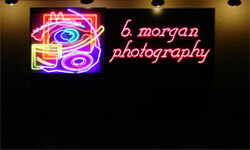 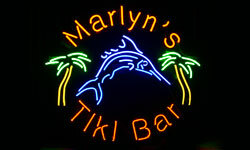 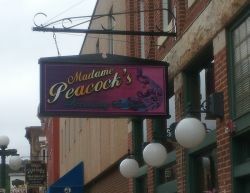 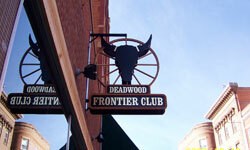 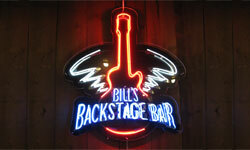 We can supply everything from neon bar signs, custom neon outdoor signage to neon open signs. 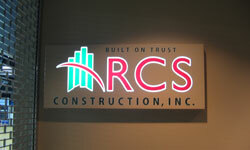 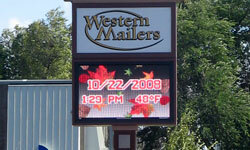 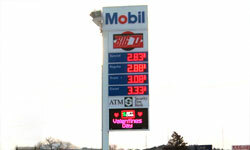 LED Message centers can be full color or monochrome. 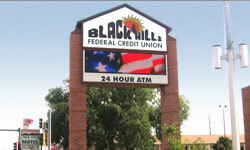 They can be configured in a wide variety of sizes and resolution. 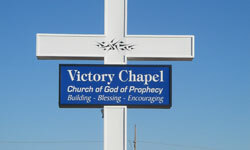 Perfect for churches, schools and businesses wanting to reach their clients with changeable messages and graphics. 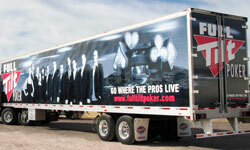 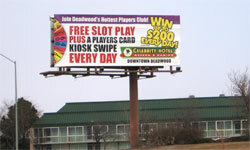 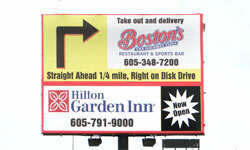 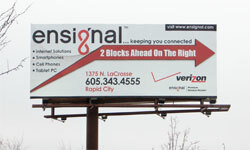 No matter what the size of the job, we can build, restore, repaint or wrap your billboard. 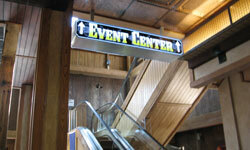 We produce custom interior signs that are designed to fit your specific needs and match the architecture of your interior space. 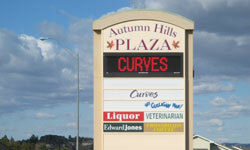 Capture potential customers' attention with the latest digital printing. 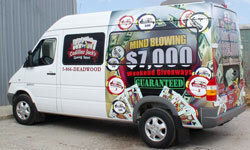 Design a digital print with attention-grabbing colors, details, and graphics that when combined together create an enticing picture and message. 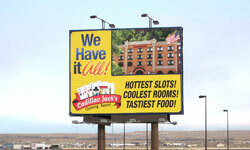 You will be able to attract and capture your audience's attention with our large format digital printing. 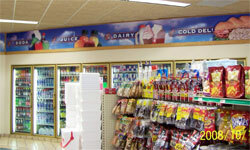 Banners attract attention to your product or special sales promotion and can add impact to your message, indoors or outdoors. 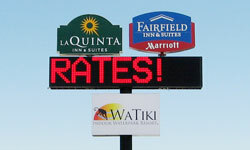 Make your audience wonder what you can do for them; you only have a few seconds to peak interest in a complete stranger. 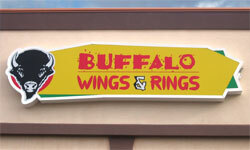 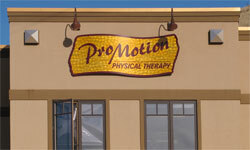 Raise their interest in your business with a high quality custom vinyl banner. 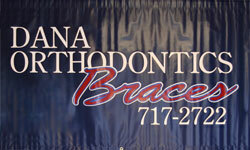 Whether you say it once or repeat it, banners are an economical and practical answer to get the message out. 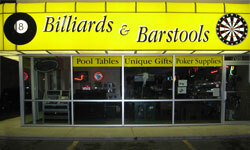 They are a good choice for portability, durability, and are cost-effective. 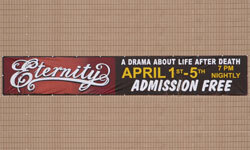 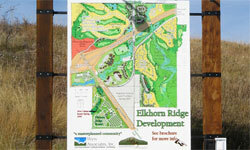 Our banners can be displayed quickly and easily with a variety of mounting options. 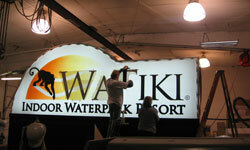 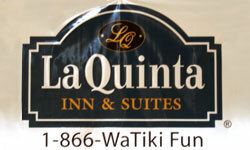 We will custom make any banner for your business, specifically suited to meet your needs. 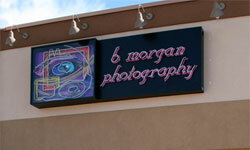 Magnetic signs are easily changeable. 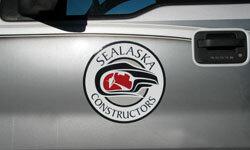 They can be made with your company logo and colors or we'll design an attractive option for you. 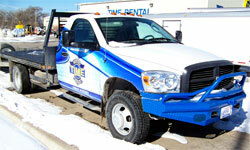 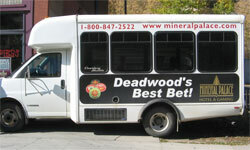 Magnetic advertising signs are an easy and cost-effective way to represent your company on any vehicle you drive. 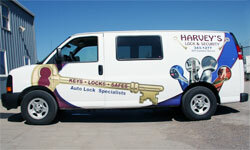 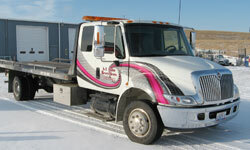 Vehicle graphics include full custom wraps, partial wraps, cut vinyl and perforated window film. 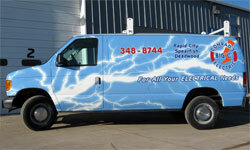 Our vehicle wraps are printed on the highest quality 3M film. 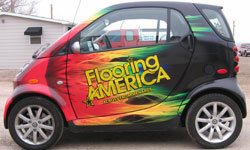 This vinyl can flex and adhere to highly contoured surfaces, allowing for maximum coverage with minimal seams. 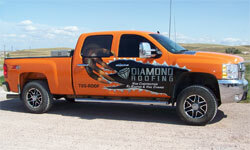 Partial wrap graphics use the same materials and techniques as full wraps, but allow the surface of your vehicle to act as a back drop for your design. 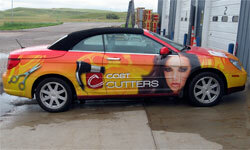 Partial wraps can help you cut down on your cost while preserving an eye-catching design. 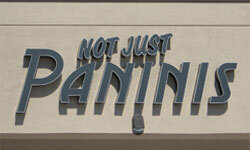 Cut vinyl graphics can be used to create door lettering, window lettering or custom designs. 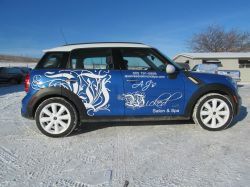 We only use high performance 3M vinyl which are machine cut and applied to your vehicle. 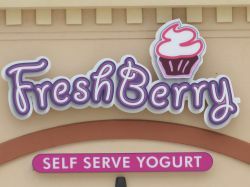 Our window film is a printable, perforated vinyl that allows drivers to safely see traffic while not limiting the possibilities of your designs.